The City of Hudson Fire Department recently played host to a 4 day "Public Safety Diver Course". The class, which started on Thursday May 19th, was taught by Team Lifeguard Systems out of Shokan, N.Y. The lead instructor of the class is the founder of Team LGS, Walt "Butch" Hendrick. 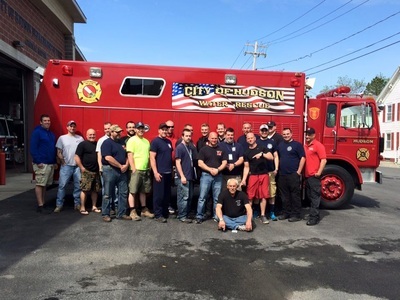 The class graduated 12 Divers and 9 tenders, including 5 Divers and 4 Tenders from Hudsons own Dive Team. 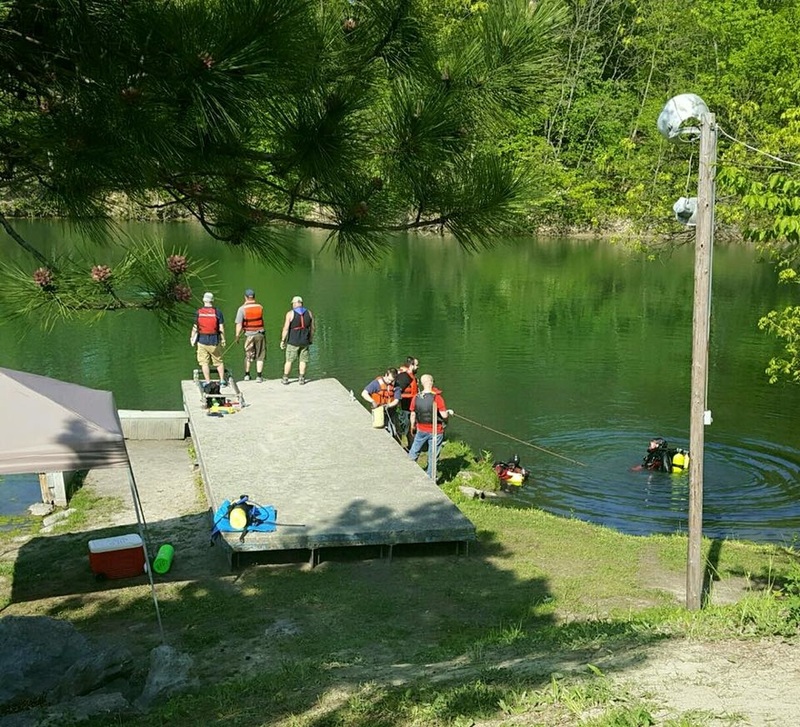 Divers and Tenders from Hudson were joined by members of the U.S. Marshall Service, Greene County Sheriffs Office, Ulster County Sheriffs Office, Ulster Hose Co# 5 of Ulster, N.Y. (Kingston), and the Athens Volunteer Fire Company. Thursdays session began at the Hudson High School Pool in which the students were instructed in Dry Suit Diving. Students also began training on full face mask diving, including proper use and clearing a flooded mask. After the pool, students returned to the Hudson Central Station for a 4 hour classroom lecture about the basics of Public Safety Diving. Friday started at the Central Station again with rope drills and dressing drills to prepare the divers and tenders for open water. 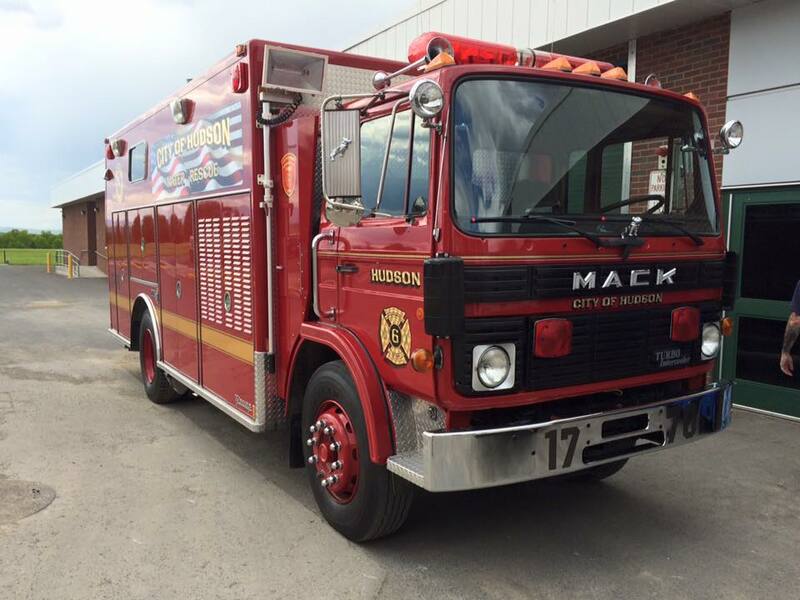 Friday afternoon, all operations had moved to Oakdale Lake, located on North 6th Street in the City. The remainder of the class was held at Oakdale Lake. 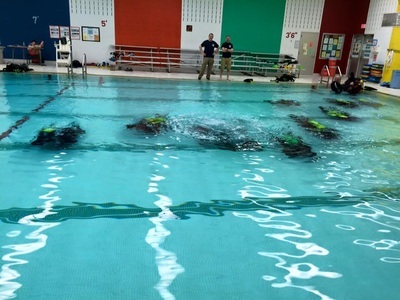 Divers and Tenders took turns rotating into multiple positions to learn every job that may be assigned at an emergency. Divers practiced search techniques, evidence collection, diver emergencies, as well as contingency procedures. 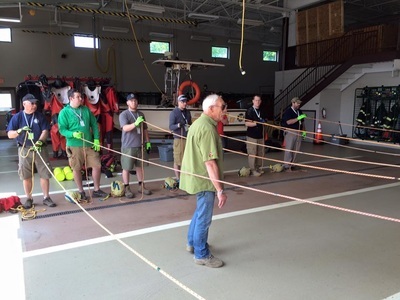 Tenders were trained in dressing, rope signals, profiling dives, and incident command. The class was completed on Sunday May 22nd, after a written exam and paperwork was completed. The class was physically demanding but was very informative. Every student finished the class with a plethora of knowledge to bring back to their respective departments. Divers: 1st. Asst. Chief Anthony Demarco Jr., Daniel Hickey Jr., Nick Cozzolino, Anthony Delvecchio, and Justin Elliott. Tenders: Captain Nicolas Pierro, Mark Graziano, Darrin Gansowski, Jake Thomas, and Jeremy VanAllen. 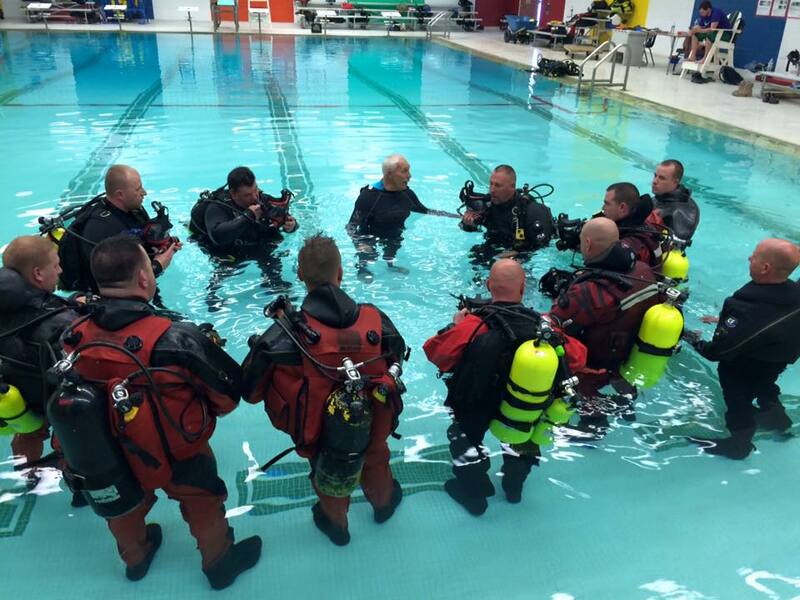 The Dive Team looks forward to putting this knowledge to use in upcoming drills and any emergencies that may arise. The team is also excited to continue their education and provide a higher level of service to the residents of the City of Hudson.